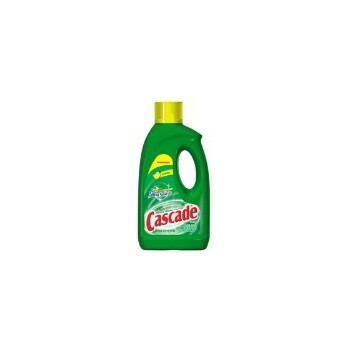 Cascade Gel Dishwasher Detergent - Lemon Scent - 75 oz. Combine the outstanding cleaning of Cascade dish liquid with the grease-fighting power of Dawn for clean dishes that are automatically clean every time. Cascade dishwasher detergent gel cleans so thoroughly virtually nothing is left behind but pure clean, pure shine. Lemon Scent Dishwasher Gel, 45-oz.